How you think, what you think, and how much you believe in yourself determines how effective you might be as a caregiver. You are accomplishing more than you can imagine. 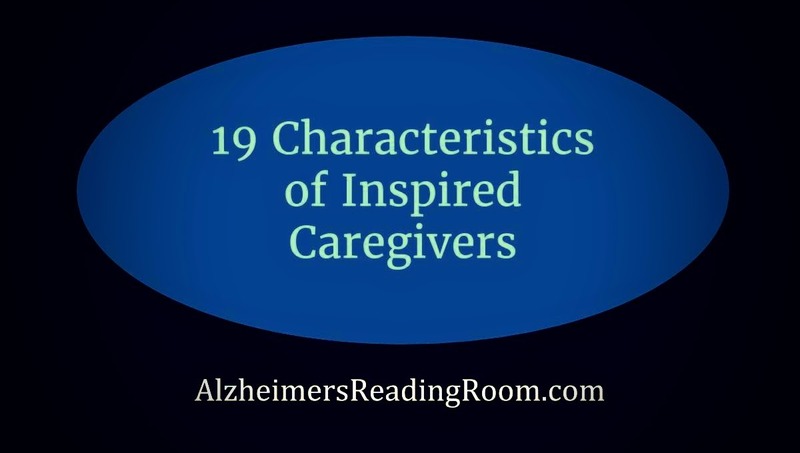 These are 19 characteristics of caring effective caregivers. 1. Empathy the ability to understand and share the feelings of another. 2. Compassion a feeling of deep sympathy and sorrow for another who is stricken by misfortune, accompanied by a strong desire to alleviate their suffering. 3. Purpose the reason for which something is done or for which something exists. Having as one's intention or objective. 4. Happiness is a mental or emotional state of well being defined by positive emotions ranging from contentment to joy. Happy mental states also reflect judgement by a person about their overall well being. 5. Hug an act of holding someone tightly in one's arms to express affection, caring, and understanding. 6. Sadness is a normal human emotion. Sadness is an emotional pain associated with, or characterized by, feelings loss, despair, grief, helplessness, disappointment and sorrow. 7. 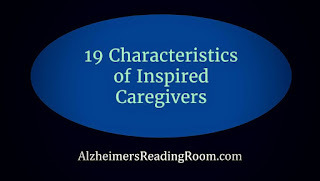 Caregiver is a person who gives help and protection to someone who is sick or in need. 8. Soul the spiritual part of a human being regarded as immortal. 9. Emotional super glue a bond that holds two people together and rises to a level that is so powerful, so all encompassing, that it can only be described in this way - you are bonded together by emotional super glue. 10. Trust the firm belief in the reliability and truth of someone. Trustworthy a person you can rely on; a person you have confidence in. 11. Joy is a feeling of great pleasure and happiness. A heightened feeling of happiness. 12. Dementia care is the art of looking after and providing for the needs of a person living with Alzheimer's disease or a related dementia. 13. Dependability the quality of being able to be relied upon. 14. Love an intense feeling of deep affection. 15. Patience the capacity to accept delay, trouble, or suffering without getting angry or upset. 16. Strength someone that gives one strength or is a source of encouragement and sustenance. 17. Cope. To face and deal with responsibilities, problems, or difficulties in an effective and calm manner or way. 18. Coping requires us to make our own conscious effort to solve personal and interpersonal problems. This allows us to minimize stress, reduce conflict, and to better understand our situation. 19. Flexibility the willingness to change or compromise. Bob you are really remarkable. The articles in the Alzheimer's Reading Room are allowing me and my husband to live our lives again.